■Great way to make the rear end of your Kia Sorento stand out. ■Manufactured to perfectly match the OEM parts of Kia Sorento. 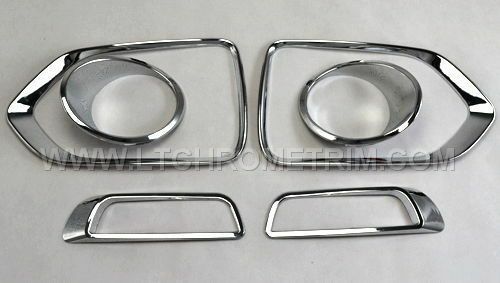 ■Complete the chrome look by adding other chrome accessories including chrome door handle covers, chrome mirror covers, chrome headlight & tail light trim and an aftermarket grille. Chrome fog lamp surrounds or covers are a great way to customize the back end of Kia Sorento. They can be installed in a matter of seconds, and require no modification to Kia Sorento. Simply remove the protective film from the adhesive and apply to Kia Sorento OEM fog lights.